The Art of Donut has been one of my go-to spots to work in the morning. Located at the North St. Mary’s and Mulberry intersection near the zoo, Andrea Aguirre along with husband Miguel have opened a gourmet donut shop along with an awesome coffee bar. It is a treat to walk into this inviting business with beautiful treats and a “Donut Kill My Vibe” neon sign and get one of their specialty donuts. I am really proud to help produce The Art of Donut Fiesta Medal for 2018! After working out of the shop for a couple of months, I talked with Andrea about creating a festive medal and had the perfect candidate: her colorful Rainbow Fest donut. 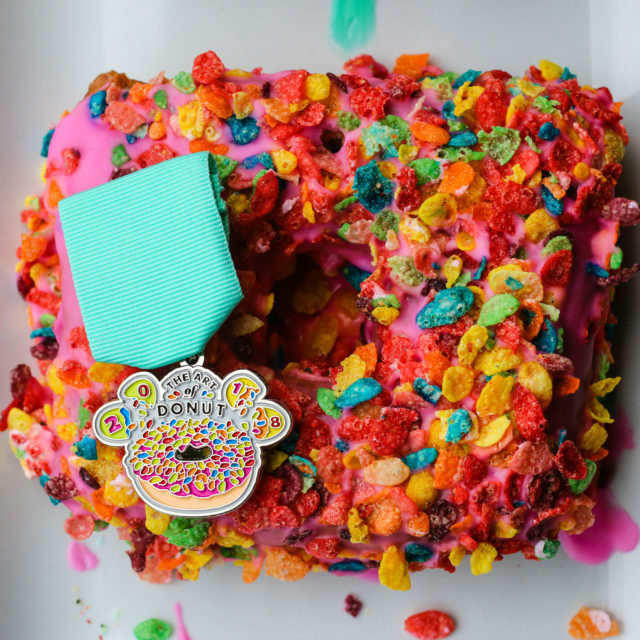 It has bright pink vanilla flavored icing topped with a handful of Fruity Pebbles. 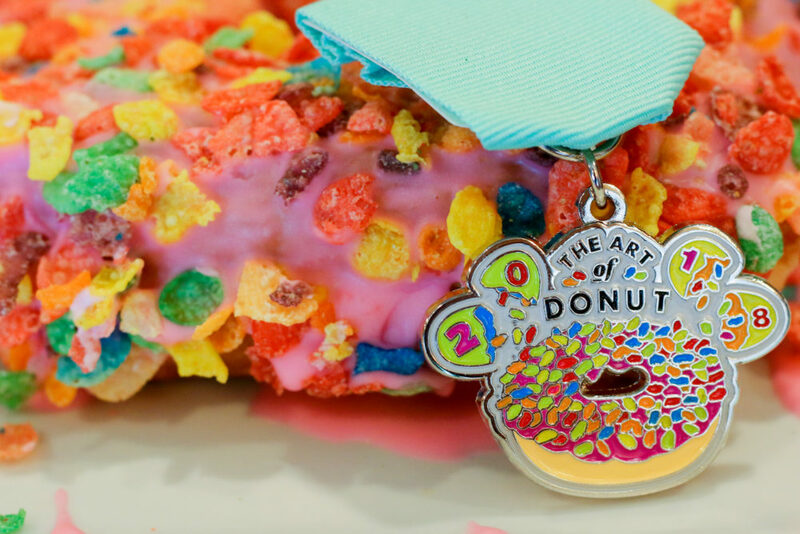 We both realized how similar the Fruity Pebbles are to the confetti from a cascaron and decided to go with that theme on The Art of Donut Fiesta Medal. You’ll notice a couple of cracked cascarones with “2018” above raining down confetti on the donut. And of course we had to have a hole in the middle! The medal sells for $10 plus tax and all proceeds of The Art of Donut Fiesta Medal goes to benefit Alamo City Pit Bull Rescue and Rehabilitation, a charity near and dear to Andrea’s heart. Visit The Art of Donut at 3428 N St Mary’s St, San Antonio, TX 78212 and check their website for hours (they are closed on Mondays).